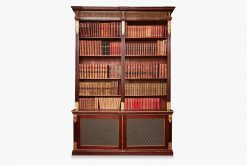 Early 19th Century George III miniature mahogany waterfall bookcase. 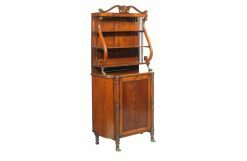 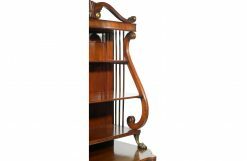 The shaped and moulded bookcase with heart shaped fret cut carrying handles over three graduated shelves raised over two short short drawers with brass pulls terminating on ogee bracket feet. 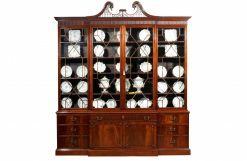 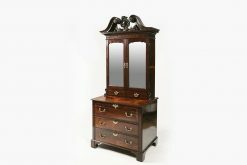 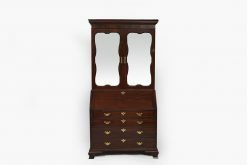 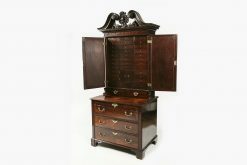 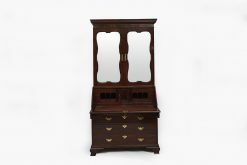 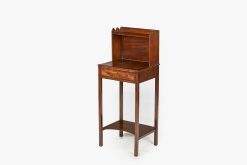 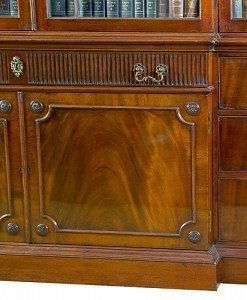 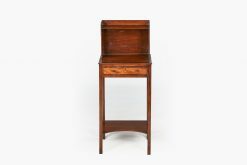 To enquiry about "10184 – Early 19th Century George III Miniature Mahogany Waterfall Bookcase", please complete the below form.